I apologize for the lack of Tux posts recently - when time gets tight, Tux posts are (sadly) the first to go…especially given that his behavior hasn't changed much recently. 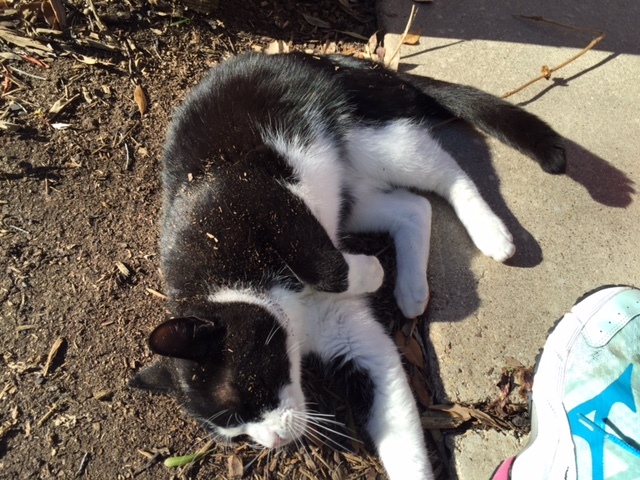 In support of that statement, here are a few photos of Tux engaged in what have been and continue to be his two favorite activities: riding on my shoulders and rolling in the dirt. Not even two years old and already a creature of habit. More Tux to come, I promise!